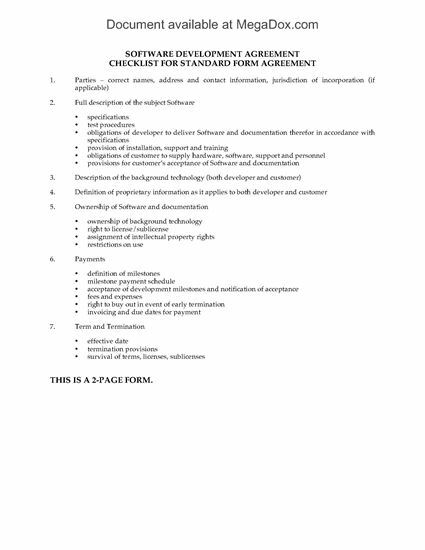 Use this easy checklist to make sure you address all the necessary legal issues when drafting a Software Development Agreement. procedure for testing and acceptance of the product. 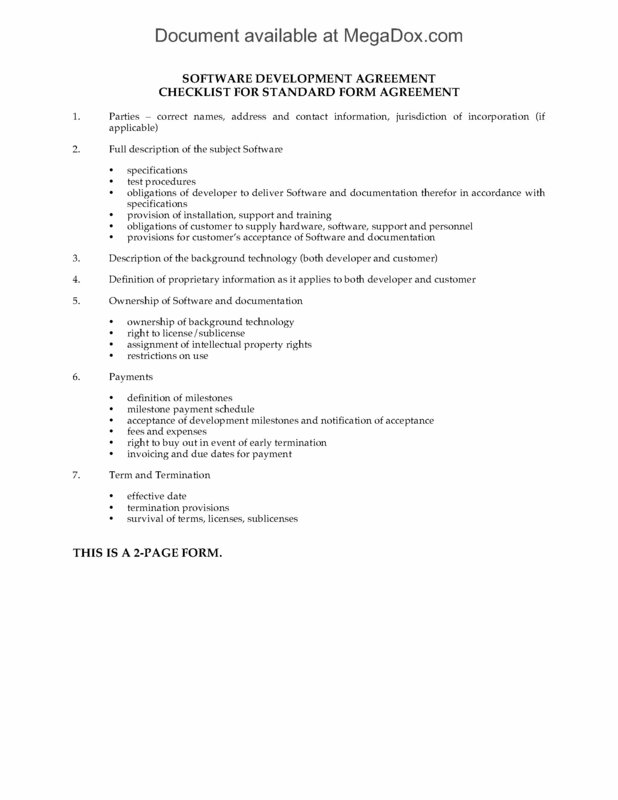 This Software Development Agreement Checklist is available as a Microsoft Word download. 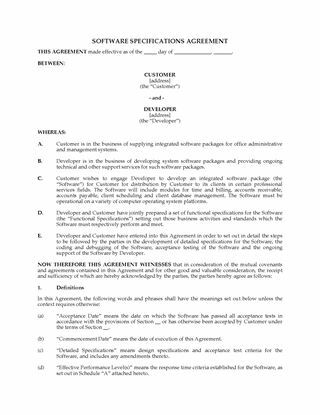 Set up a strategic partnership to develop and market software apps in the USA with this comprehensive Software Development Partnership Agreement. The partners will work together to develop, implement, market and provide ongoing support for the software. One of the partners will have primary responsibility for development of the software, and the other will have primary responsibility for marketing and selling the final product. However, both parties will be required to expend sufficient time and effort in all areas. Each partner will have equal rights in managing the business, but neither partner has the authority to act on behalf of the other partner. Revenues will be deposited into an operating account from which partnership expenses will be paid. Profits will be distributed to the partners at regular intervals. Each partner is responsible for paying their own taxes and remittances. 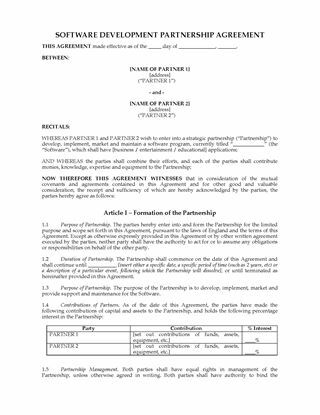 The Agreement contains two alternate sets of clauses for ownership of the intellectual property - one for joint ownership and one for individual ownership. 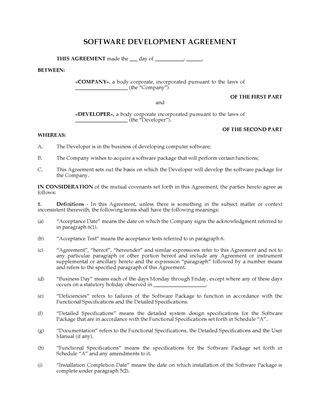 The file also contains confidentiality and non-competition provisions. 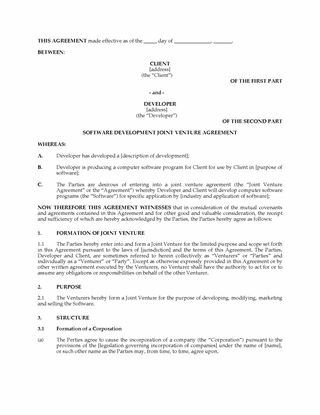 This USA Software Development Partnership Agreement template is provided in MS Word format, and is fully editable to fit your specific circumstances.